7 Amazing Salad Bars In Bali You Wouldn’t Want To Miss! HomeArticleBali 7 Amazing Salad Bars In Bali You Wouldn’t Want To Miss! One thing that people love most about Bali is that everything comes naturally. This doesn’t only apply to the extraordinary tropical ocean breeze, but also the ingredients of the food you consume over there! If you love everything organic and fresh, then Bali is certainly the place to be. What’s a better way to get your mind, body, and soul fully recharged in the morning than having a scrumptious, healthy bowl of salad in Bali? Without further due, let’s dive into our selection of incredible salad bars in Bali that will definitely make your mouth water! This is not an ordinary salad bar. This place does not only feature an extensive selection of delicious salads–they also offer yoga classes in such a gorgeous space. 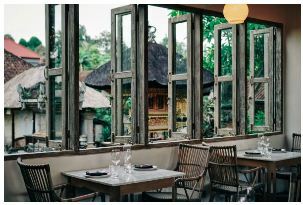 Ever since I visited this place, my perfect first morning in Bali would comprise two glasses of water, a bowl of their amazing Raw Garden Vegetable Salad with Rice Noodles, and a yoga session to get myself enlightened and ready for an unforgettable summer getaway! Only by hearing its name, you would know that it’s a good place to have salads for brunch.This place’s got two of the most important things you’ve been longing for–a charming interior and a broad selection of healthy and tasty salads. Have their Colorful Watercress House Salad (Rp. 75.000), featuring fresh greens, tempeh, and of course their yummy house dressing! The portions are guaranteed satisfying. Congratulations, you’ve just found a gem in the midst of the resort village Canggu. 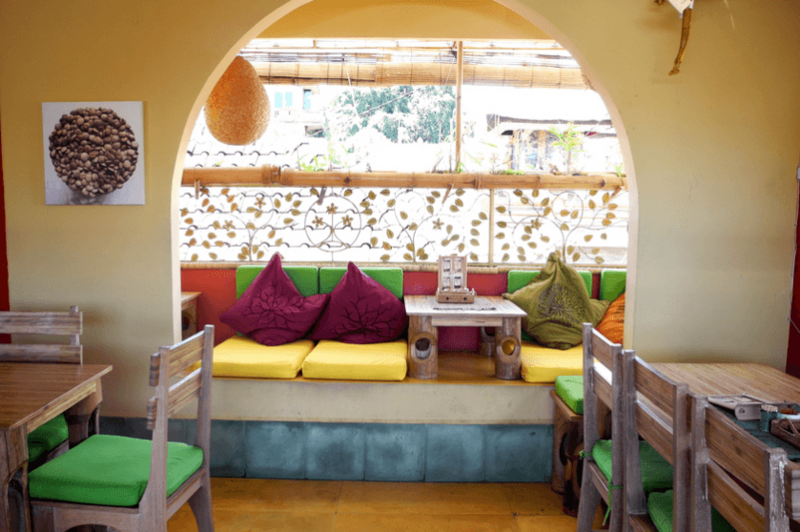 Everything about this place is for you to fall in love with, from the lovely pastel colors, the happy vibes, and of course, the unique and delightful healthy food selection. The service is unforgettably heartwarming. Everything you order at this place is made out of only the freshest components of what Mother Nature has to offer, especially the salads. This place is well-known for its innovative healthy dishes. Wait, aren’t places serving healthy food getting pretty common in Bali nowadays? Notice the key word right there. INNOVATIVE. Yes, the dishes served at this place are out of ordinary. They take your favorite fresh, organic food to the next level. Craving for a plate of pasta? 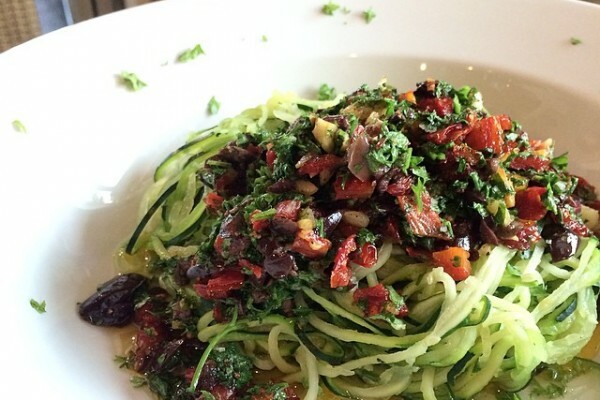 This plate of zucchini ‘pasta’ tossed with tasty sun-dried tomatoes is guaranteed to satisfy your taste buds right away. Only it’s fresher and healthier. Looking for fresh juice bar? 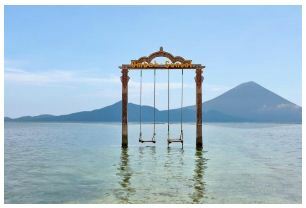 This place is definitely something you’ve always longed for. This amazing juice bar blends a modern Italian twist and a touch of tropical vibe for its gorgeous-looking interior. Other than the fresh fruit and juice selection, its salads, of course, are to die for! Simple yet satisfying. 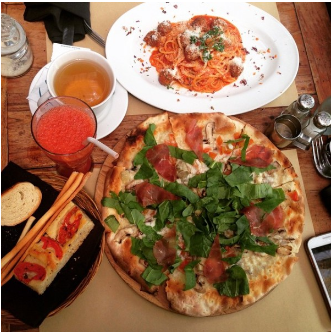 Try their Mozzarella Caprese (Rp. 55.000), featuring slices of fresh tomatoes, delicate mozzarella cheese, and basil. You’ll come back for more. This place is second to none in terms of everything. First of all, it’s got a unique, extraordinary-looking interior, featuring a hut-like space and vibrant-colored sofas. Second of all, it has an amazing collection of health guide books and yoga props for sale. 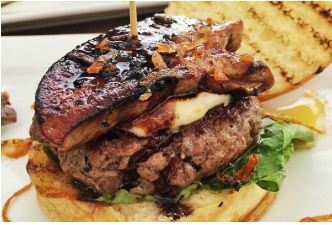 Last but not least, they serve an extensive selection of mouthwatering gourmet food that’s healthy and organic! You’ll fall in love at the first bite with its Dragon Bowl (Rp. 75.000), various veggies and tempeh served on a bed of buckwheat noodle. The portion is so huge that it can be shared with 2 people. Unforgettable dining experience. Yes, this place is a total alchemy! Too good to be true that it should be considered as magic. Frankly speaking, this one should be on top of your list whenever you’re looking for a legitimately scrumptious selection of salads. All ingredients used are 100% fresh and you can totally taste what they call passion in each and every portion of food you consume here. Having organics for your meal has never been this awesome! The post 7 Amazing Salad Bars In Bali You Wouldn’t Want To Miss! appeared first on Qraved Journal.